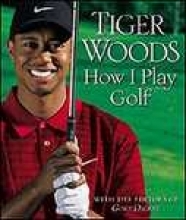 For the first time, the extraordinary Tiger Woods reveals the five secrets to his amazing success-in the only book fully authorized and written by Tiger himself. There's no denying that Tiger Woods has taken golf by storm. It seems like every time this 25-year-old swings a club, another Pga record is shattered. While his explosive drives, accurate approach shots, and steady putter certainly contribute to this success, both fans and critics agree that it's Tiger's devastating mental game that has propelled him to become the premier golfer of our time. Now Tiger shares his thoughts on what he calls the game of a lifetime. He reveals the five secrets he believes are responsible for his success-a combination of physical, metaphysical, and psychological practices he uses daily to keep his game in top shape and help him to transcend all the ups and downs of golf. Best of all, Tiger reveals his unique approach to the game for the first time ever in this one singular volume. Tiger Woods is the only athlete ever to have been twice named Sports Illustrated's Athlete of the Year. Tiger Woods lives in Orlando, Florida.